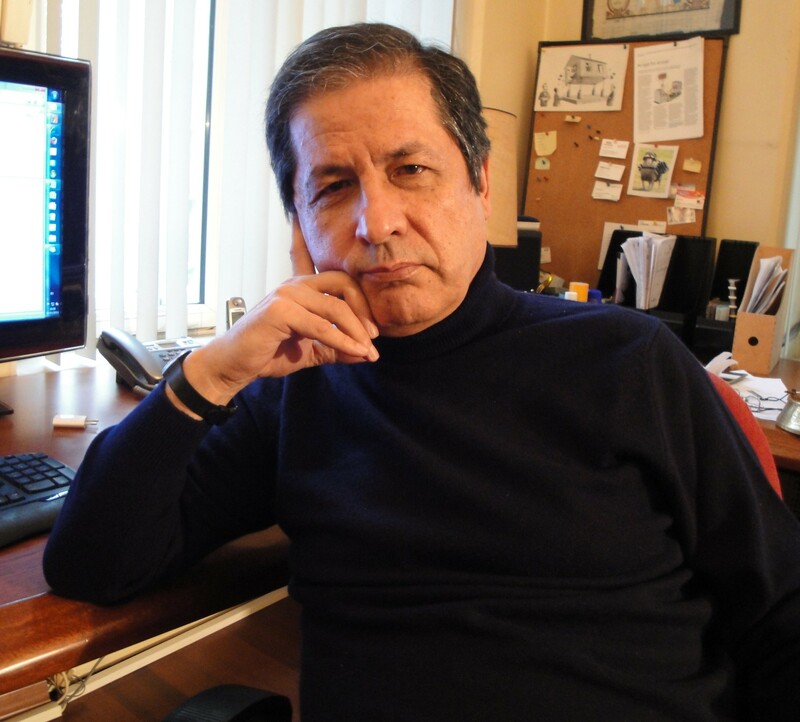 Professor Metin Basoglu, MD, PhD, is founder and former Head of Section of Trauma Studies at the Institute of Psychiatry of King’s College London and founder / former director of the Istanbul Center for Behavior Research and Therapy (DABATEM) in Turkey. He is internationally recognized as an authority on war, torture, and natural disaster trauma and treatment of survivors. He is the editor of Torture and Its Consequences: Current Treatment Approaches published in 1992 by Cambridge University Press – a now classic reference book on torture that brought together existing knowledge on the subject in the early 1990s and defined a new scientific discipline at the crossroads of medicine, psychiatry, human rights, and social and political sciences. In the years that followed he conducted pioneering studies that demonstrated the mental health effects of torture. These studies contributed to our understanding of torture by exploring the parallels between animal models of anxiety and human experience under torture. One of Basoglu’s career-guiding goals has been to develop a mental healthcare model that can address the psychological care needs of millions of mass trauma survivors around the world. His work with survivors of the 1999 earthquakes in Turkey led to the development of Control-Focused Behavioral Treatment (CFBT), which is a brief psychological intervention that can be delivered by a therapist in a single session and cost-effectively disseminated to large masses of survivors to be administered on a self-help basis. He also developed a novel intervention – Earthquake Simulation Treatment – that can be used to increase resilience against the traumatic effects of earthquakes. During the same years Basoglu also conducted a multi-site research project in former Yugoslavia countries to examine the psychological processes that lead to traumatic stress reactions in war and torture survivors. The study found that traumatic stress was more closely associated with loss of control over perceived threat to safety than with lack of redress for trauma, including retributive justice. The findings implied that retributive justice is not likely to facilitate recovery from trauma in survivors of gross human rights violations and that such recovery requires psychological interventions specifically designed to reduce trauma-induced helplessness. 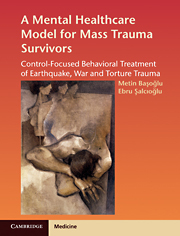 Following the completion of this research program, he brought together his 20 years of research findings in a book – A Mental Healthcare Model for Mass Trauma Survivors: Control-Focused Behavioral Treatment of Earthquake, War, and Torture Trauma – published in 2011 by Cambridge University Press. In 2010 he launched a new research program in Istanbul (jointly with his co-worker Professor Salcioglu) to examine the effectiveness of CFBT in traumatized asylum-seekers. Preliminary findings showed that CFBT is also highly effective in reducing traumatic stress in war and torture survivors when delivered in an average of 6 weekly sessions. Basoglu is also known for his work on definitional issues surrounding torture. In 2007 he published to critical acclaim a seminal research article showing no distinction between physical torture and ‘cruel, inhuman, and degrading treatment‘ in terms of their immediate and long-term psychological effects. This article was the first to bring a scientific perspective to the debate on torture that followed 9/11. Because of its implications for US policies concerning “enhanced interrogation techniques” during the Bush administration, this article received wide attention by the world media and public, as well as by the human rights community. This was followed by a second article in 2009, which replicated the findings of the first article in a larger sample. His most recent work on this subject is an edited book – Torture and Its Definition in International Law: An Interdisciplinary Approach – (to be published by Oxford University Press New York in August 2017) with contributions from prominent mental health, human rights, and international law scholars. The aim of this book is to bring together current knowledge on torture in the hope of promoting a sound theory- and evidence-based understanding of torture in international law.